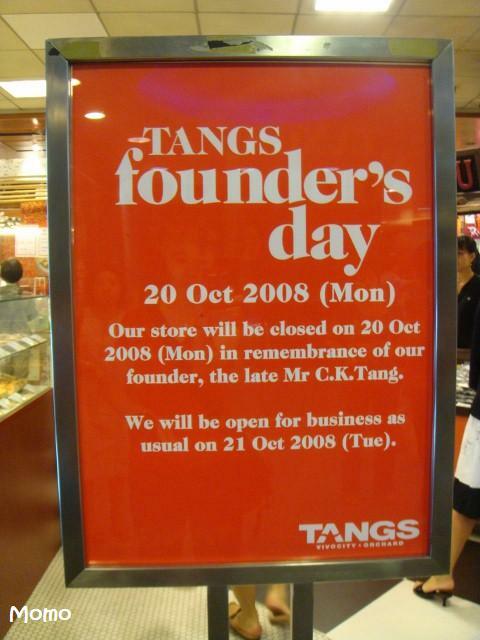 For those who are visiting Singapore today, Tangs, one of the big shopping centres will be closed. Its to commemorate their founder, Mr C.K. Tang. He is indeed, a home-grown retailer of Singapore. Yes, its very rare for a big store to close but this is a very nice gesture. Mr C K Tang was the epitome of the self-made multi-millionaire who literally made good from rags to riches.